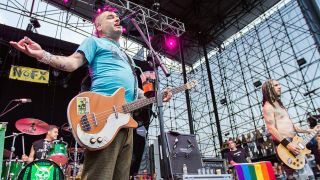 Here’s the second part of our guide to NOFX. Last time around, we dipped into prolific punks’ 32-year career by looking at every album from 1988’s ‘Liberal Animation’ up to their 1996 release, ‘Heavy Petting Zoo’. Miss the first part? Check it out here.